With GPS devices now in millions of cars, cell phones and purses around the country, it is hard to imagine that only a decade ago, the technology was used almost exclusively by large corporations and the military. But time has moved fast for Global Positioning Systems, which makes sense given that the story of GPS' history begins with a measure of time. GPS technology exists today because scientists sought a way to measure time more accurately than it had ever been measured before. And so, they developed the Atomic Clock, a super-accurate device that measure the time within a billionth of a second. But the Atomic Clock was not created in order to keep scientists from being late for dinner. They used the accuracy of the clock to test Einstein's theory of relativity as it pertained to time and space. With these atomic clocks, scientists and engineers discovered that there were slight discrepancies in time around the globe. They began to position the clocks everywhere from Mount Everest to the Gobi Desert and then looked for tiny differences in the time in each of the locations. This information helped confirm Einstein's view of the universe and would soon become a key part of satellite technology. When the Russians launched Sputnik in the 1950's, scientists quickly learned that the satellite could be used to track locations on the ground by beaming a signal up to the satellite - and having a response returned to Earth. How that message traveled determined the location of the satellite relative to a point on the planet. The US Navy soon began launching satellites of their own, and used them in key military actions to help troops engage in the proper battle locations and assist large ships circumnavigating the globe. After a time, Navy engineers realized that enough satellites, placed in very specific positions with an orbit around the earth, would create a clear picture of our planet - and that this "picture" could be used map out individual points around the globe with stunning accuracy. In 1993, it all came together. The United States Navy launched the 24th of 24 carefully placed satellites into orbit - and the Global Positioning System was born. The satellites are positioned in such a way that now anyone with an inexpensive GPS device can locate their position (or another location) anywhere on the planet. And to think, it all began with Einstein and a group of scientists who wanted to find the ultimate measure of time. Today GPS devices are a useful tool for many Americans. The technology has become very affordable and helps individuals obtain proper directions to their location while using a minimal amount of gas or time. And if someone had told you twenty years ago that GPS technology would be a "hot Christmas gift", chances are you wouldn't have given them the time of day. 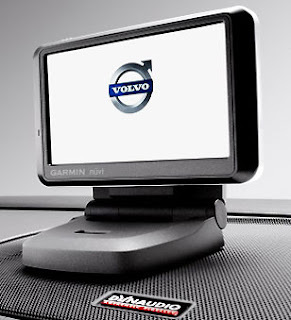 For reviews, prices and product information about the latest GPS devices for the car, cell phone and more, visit www.gpsviews.com. 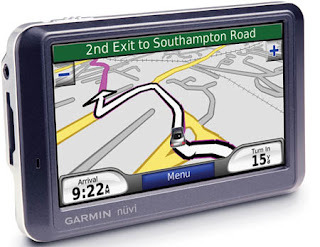 At www.gpsviews.com you'll find unbiased reviews, side by side product comparisons and everything else you need to make an informed purchase - and get the most out of your GPS device.